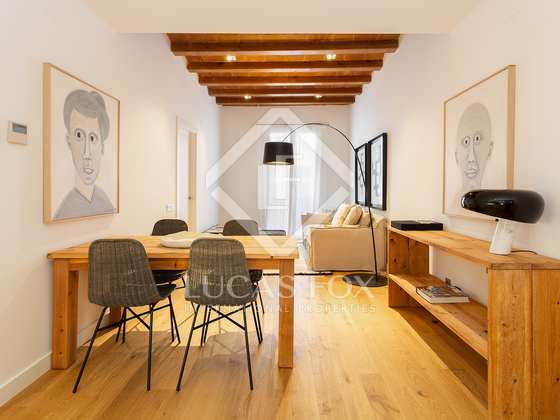 This property is part of the Urgell. 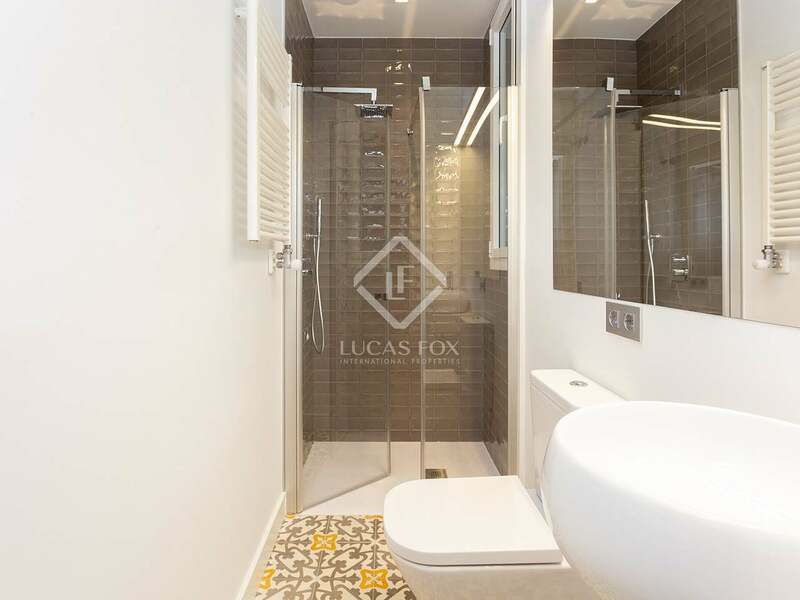 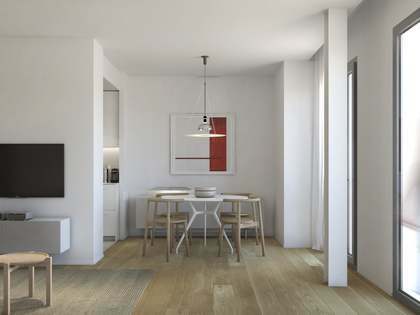 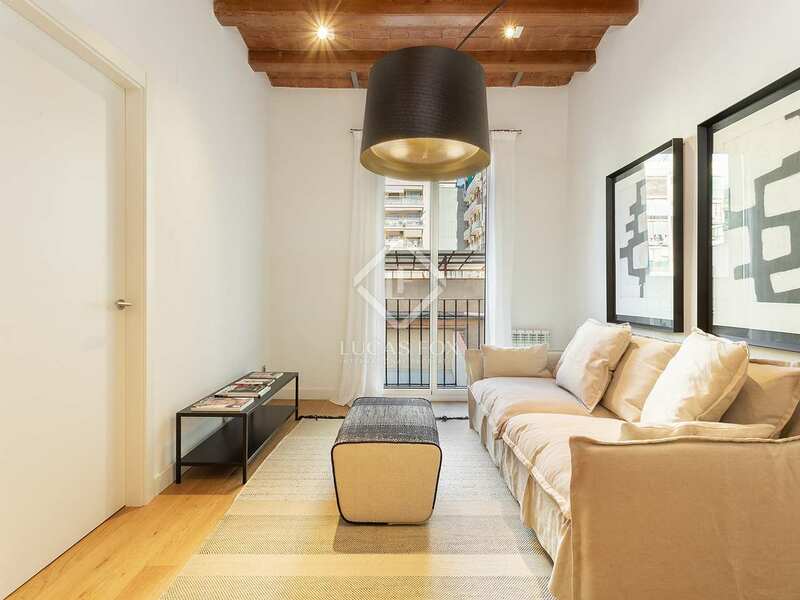 A new development of beautifully finished peaceful, interior-facing apartments for sale in a fully refurbished period building in Eixample Left, Barcelona. 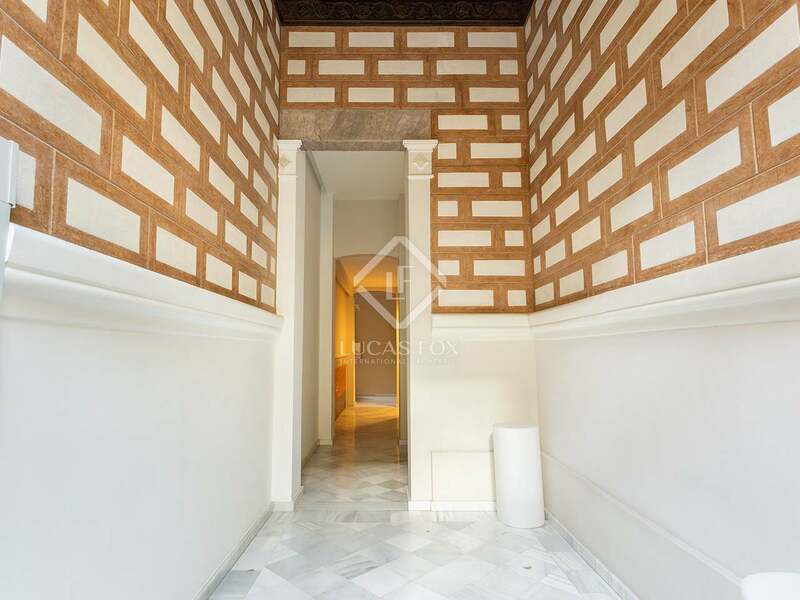 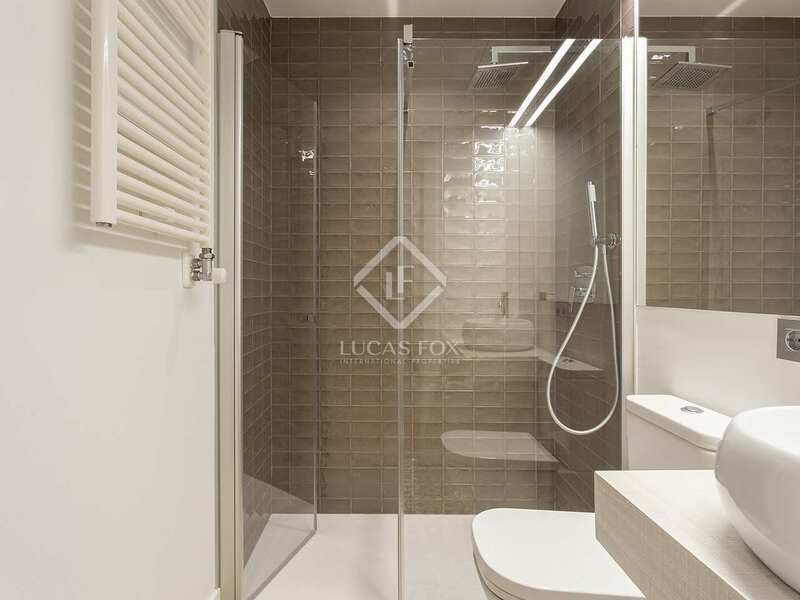 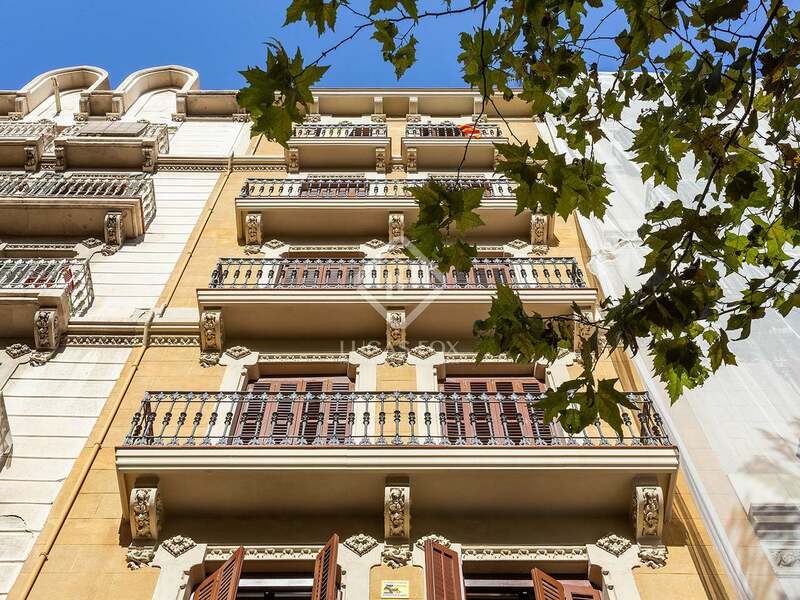 Top quality apartment for sale in a fully renovated 1920's building next to Sant Antoni market. 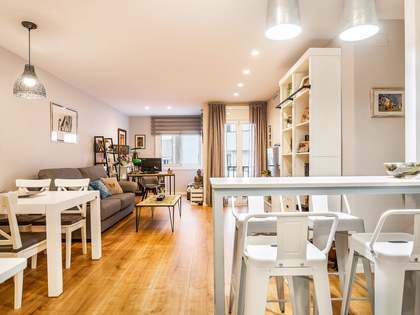 This interesting new development is currently offering 5 of the 11 brand new apartments in a fully renovated building dating back to 1920. 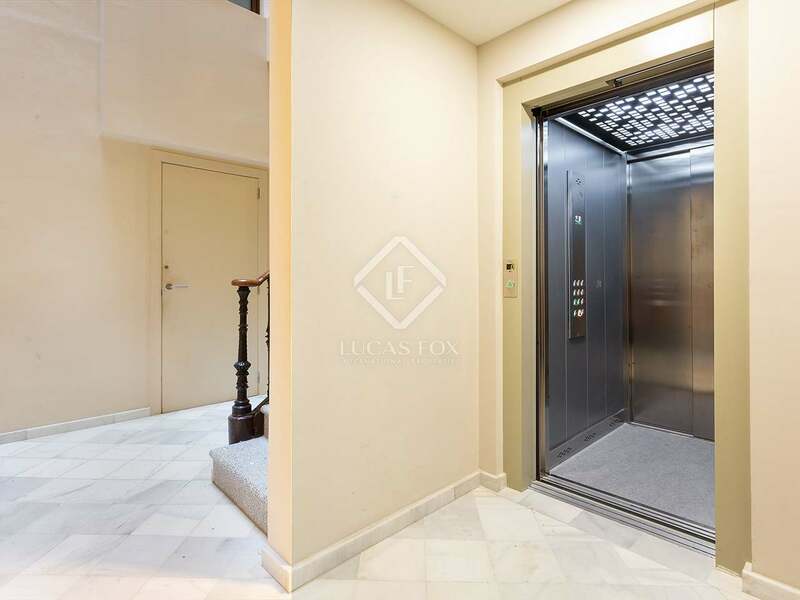 The building has a new lift, gas, electricity and water installations, common areas and restored façades. 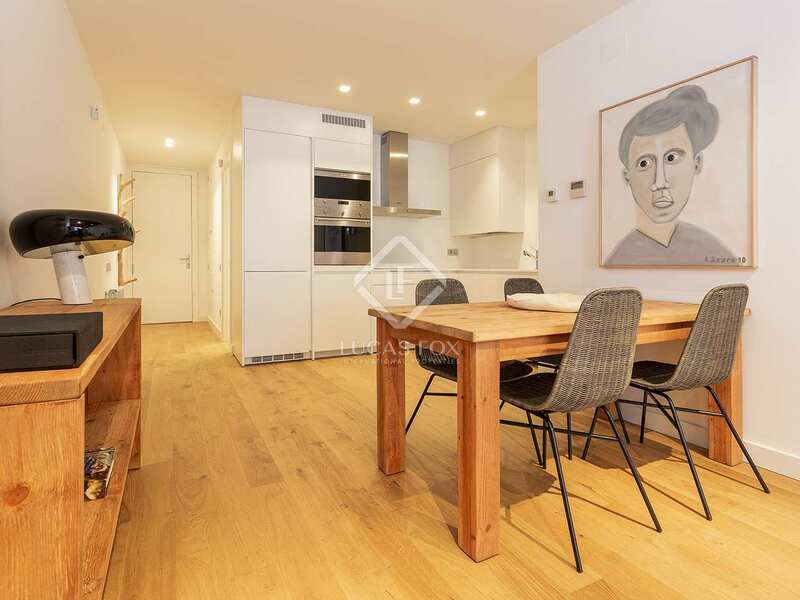 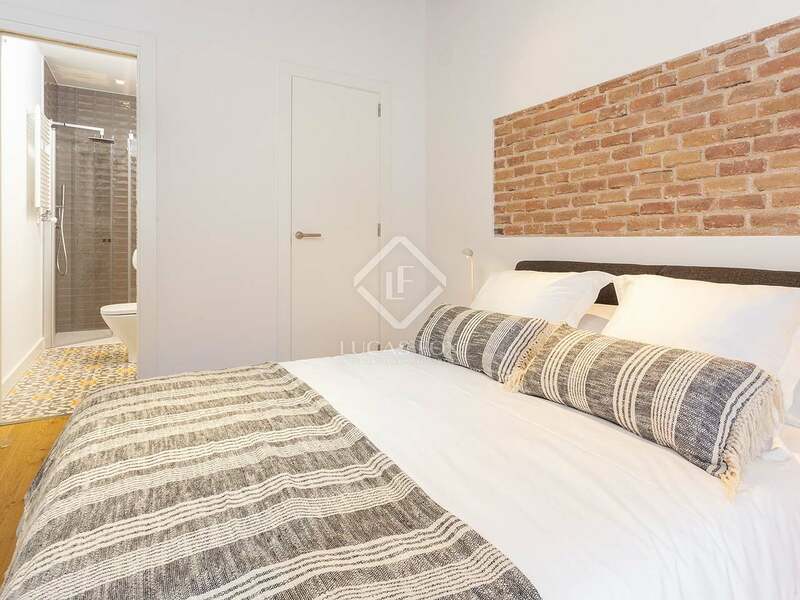 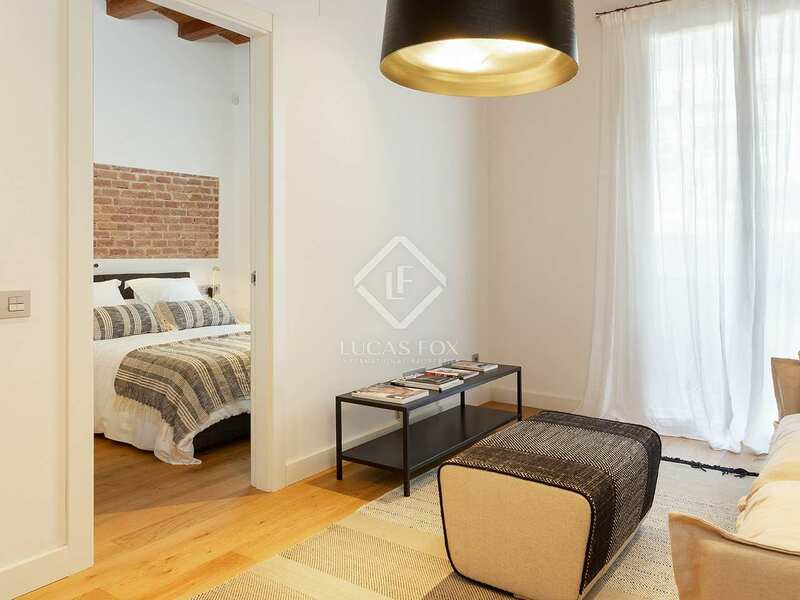 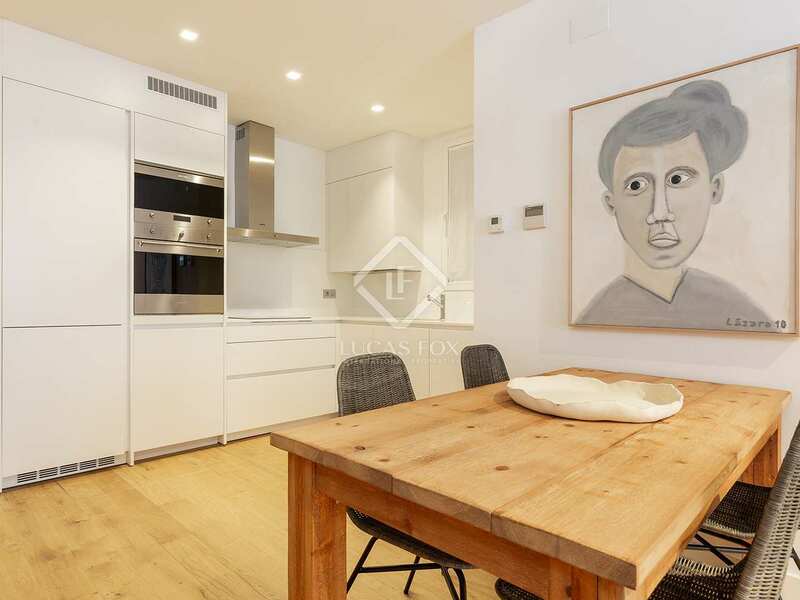 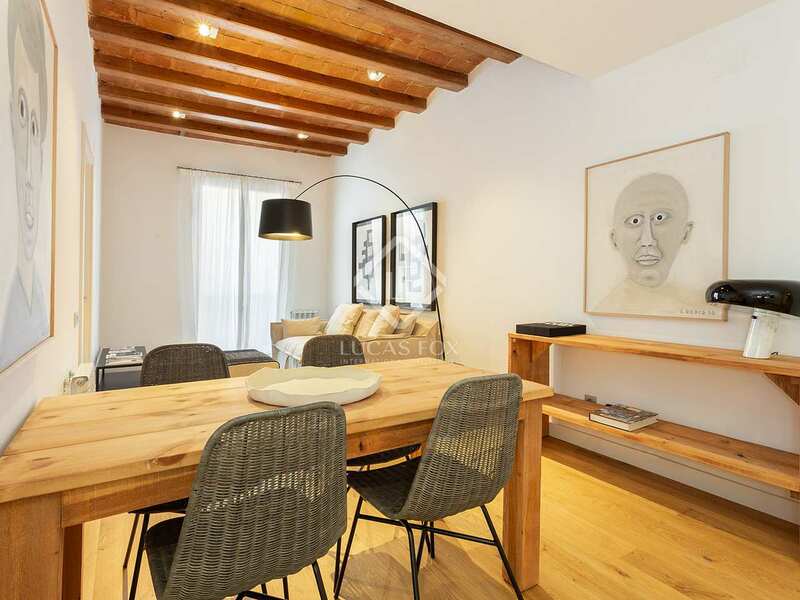 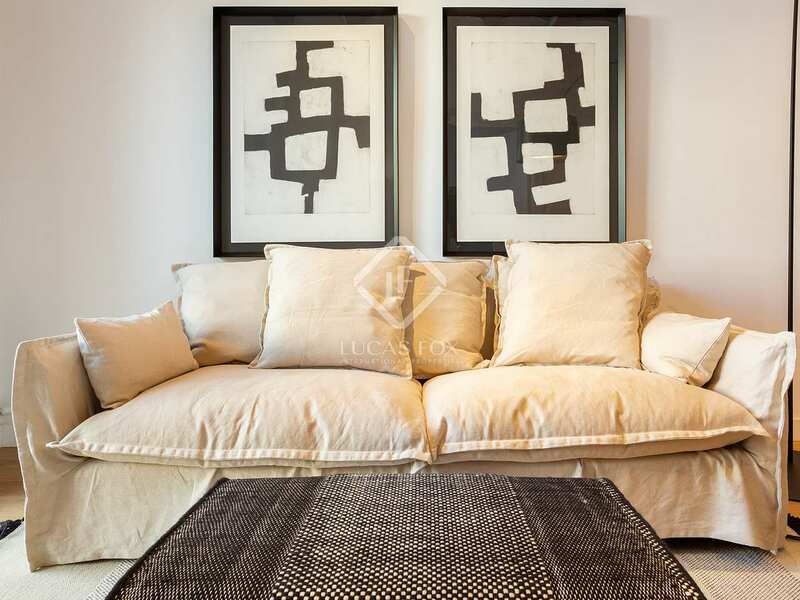 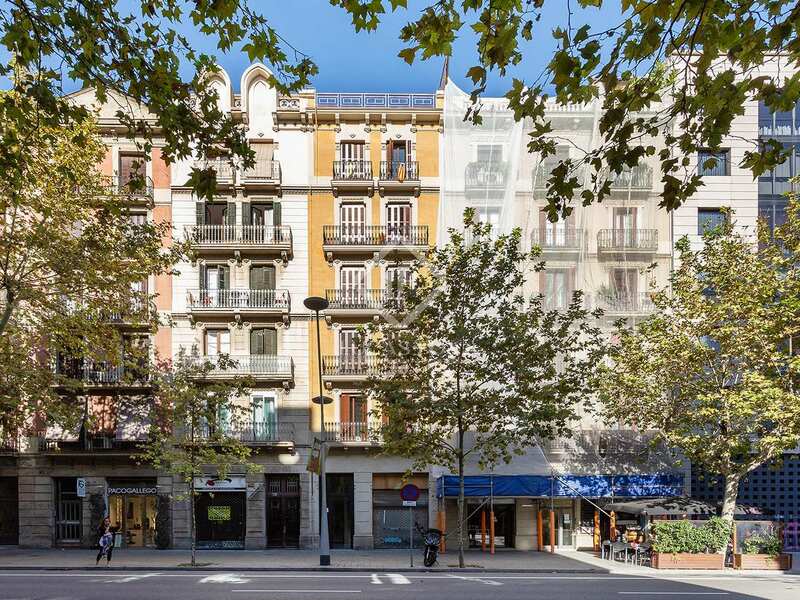 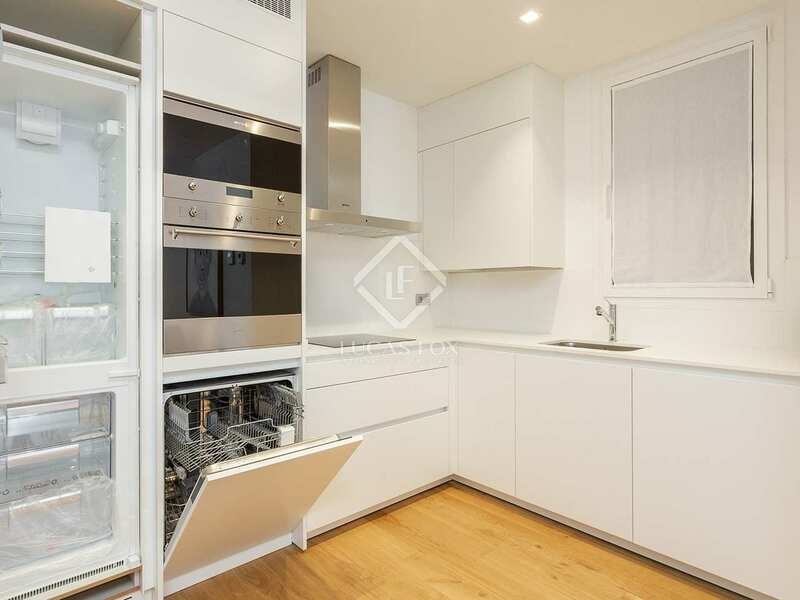 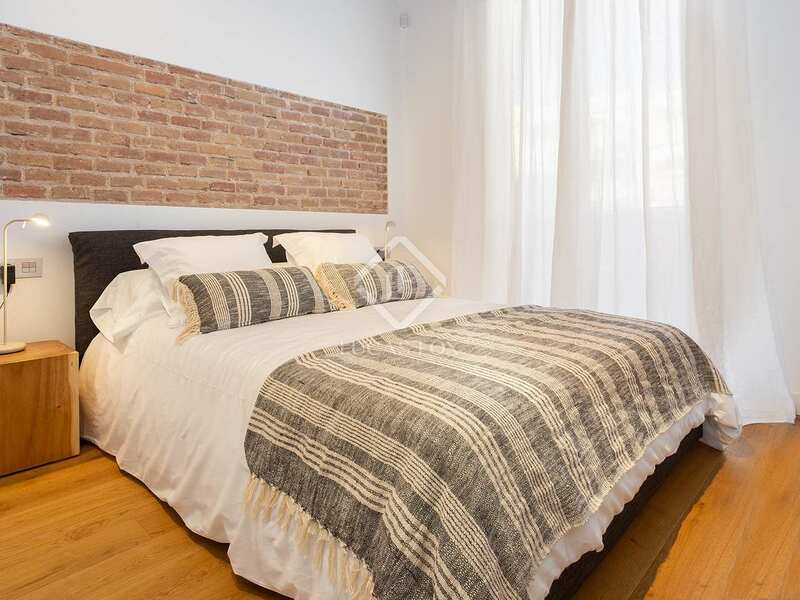 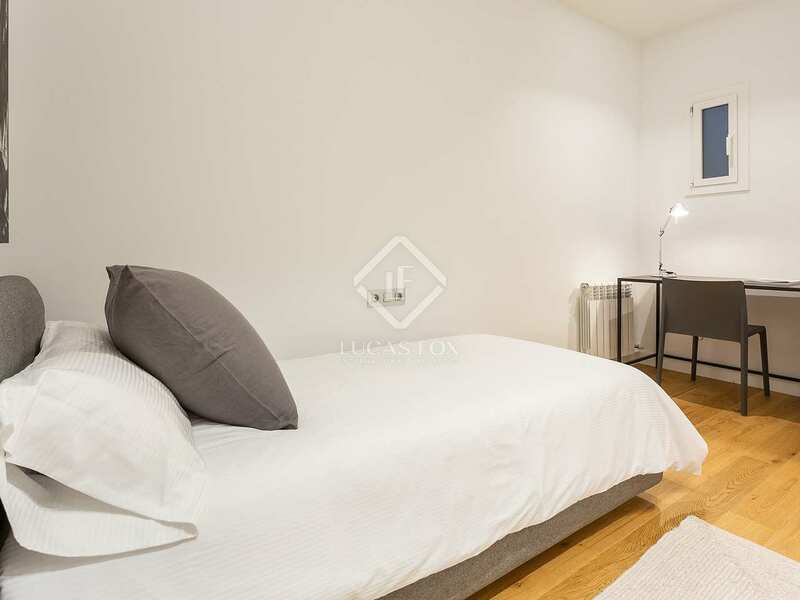 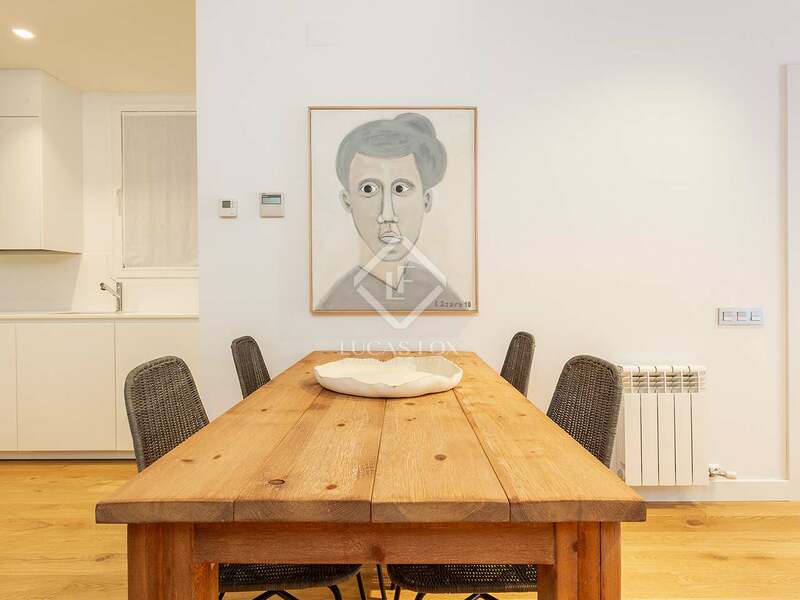 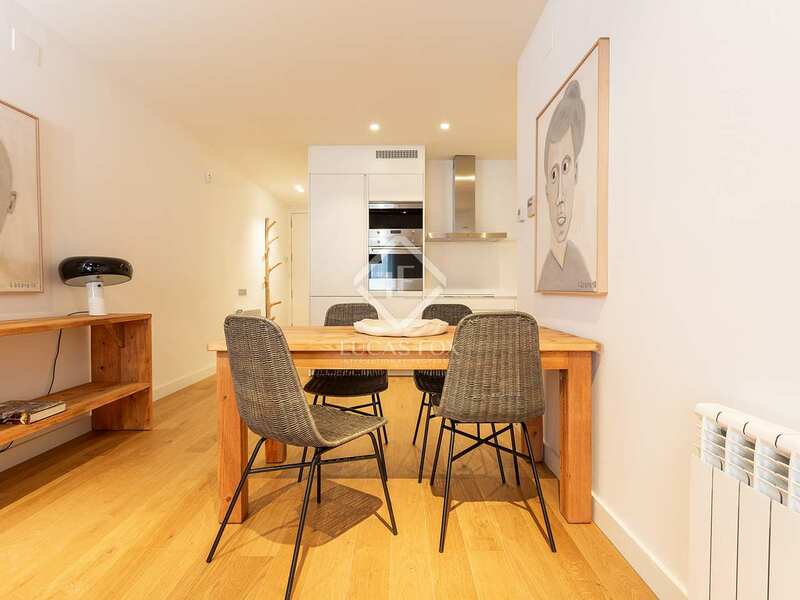 Located on Carrer de Comte d'Urgell, next to Carrer de la Diputació, it is very well placed in Eixample Left, close to the famous Sant Antoni market, shops, restaurants and public transport. 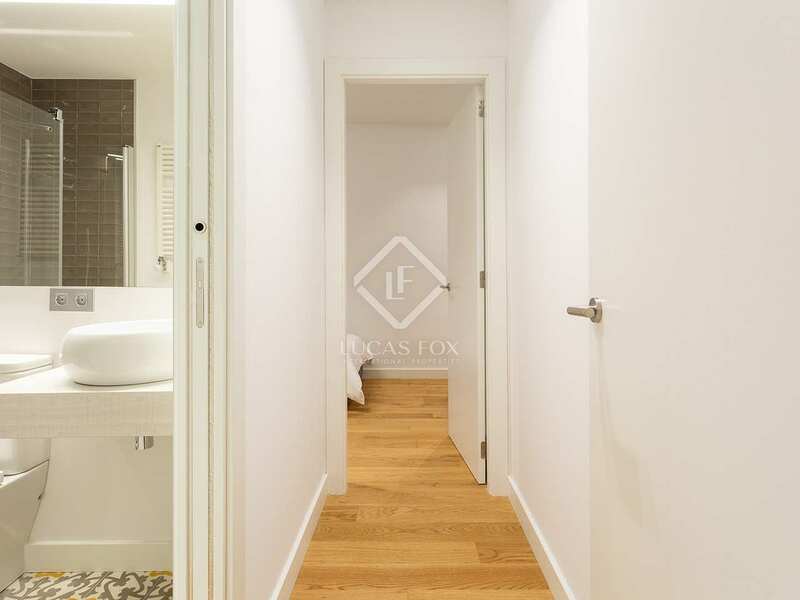 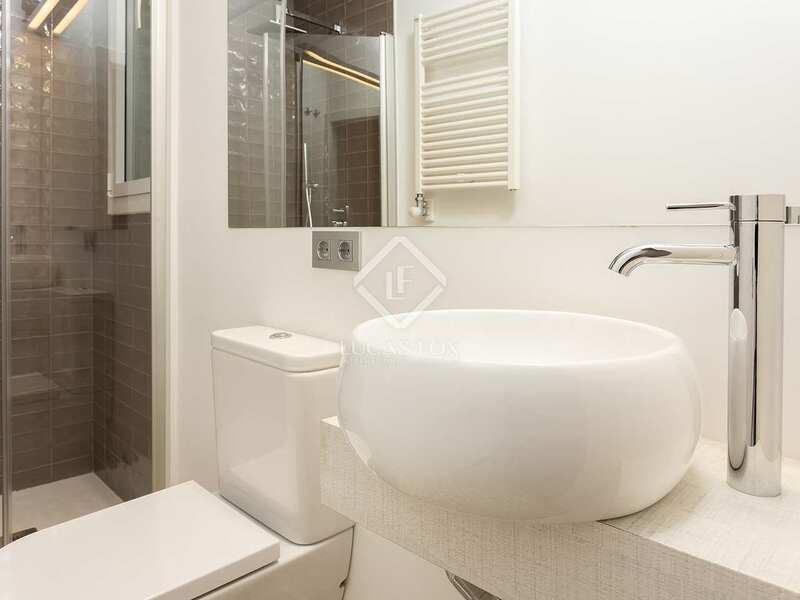 This 68 m² apartment is located on the third floor and consists of an entrance hall, a living-dining room with an open kitchen and two double bedrooms with en-suite bathrooms. 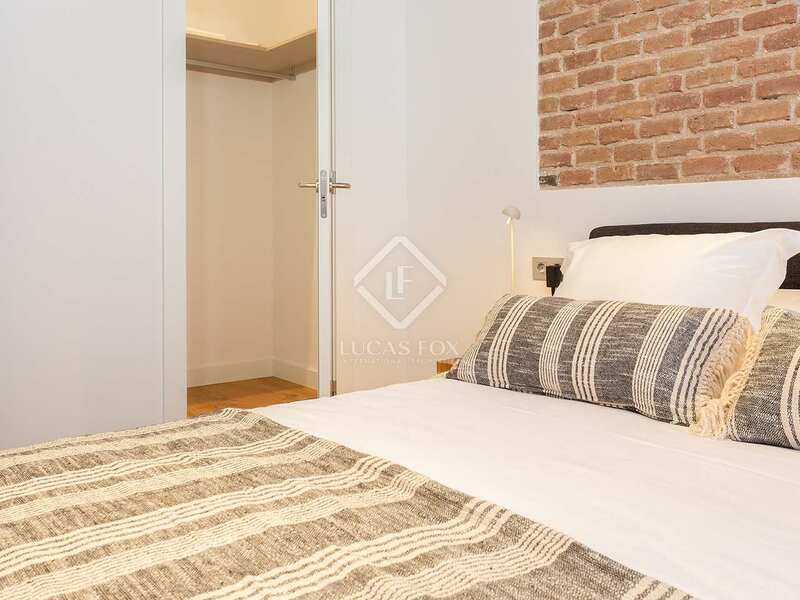 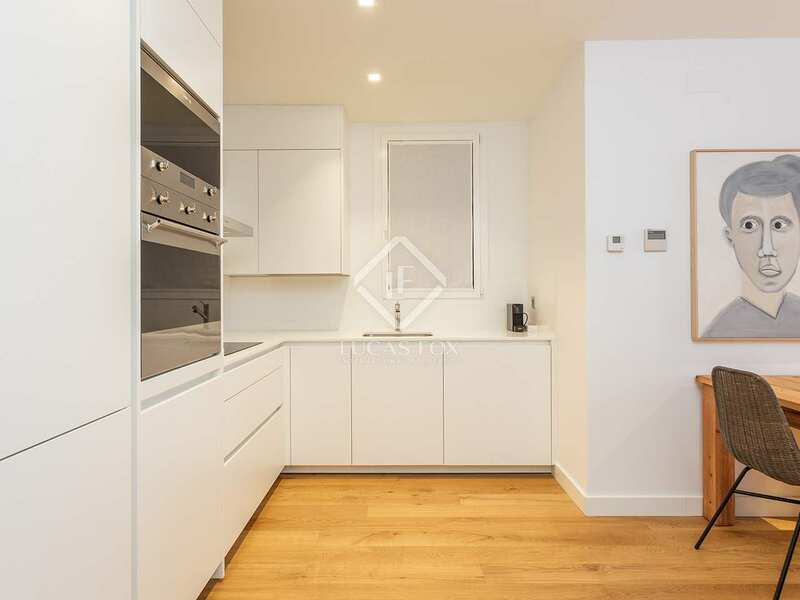 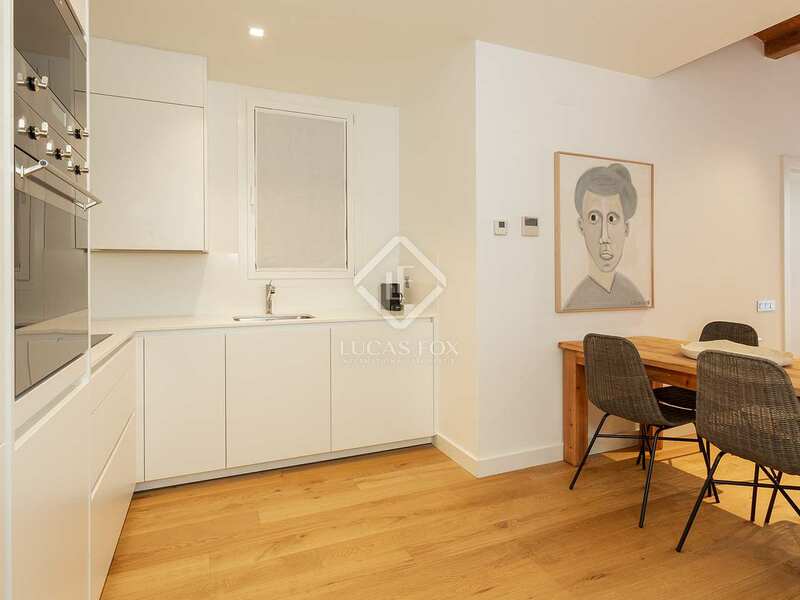 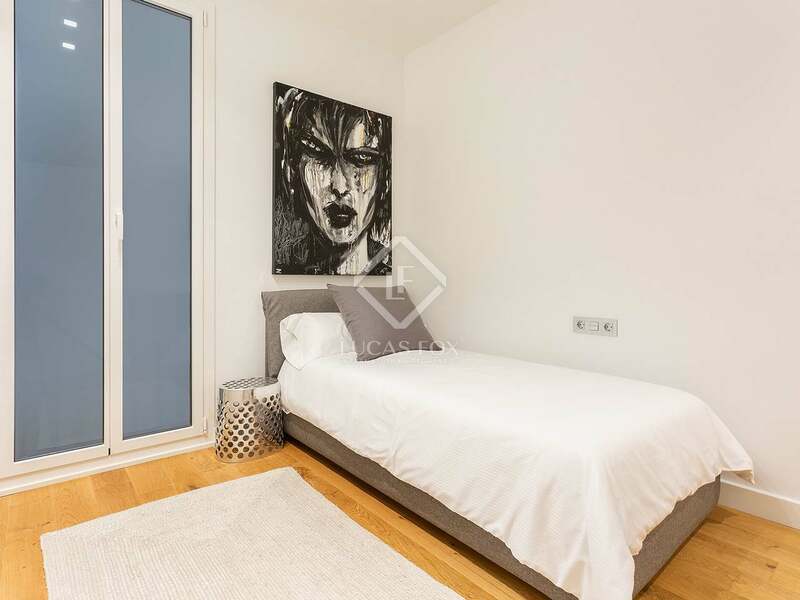 The apartment has excellent quality finishes including double glazed windows with aluminum frames, wide, natural wood floorboards, gas heating and air conditioning ducts, porcelain floors in bathrooms and a Silestone kitchen equipped with Smeg appliances. 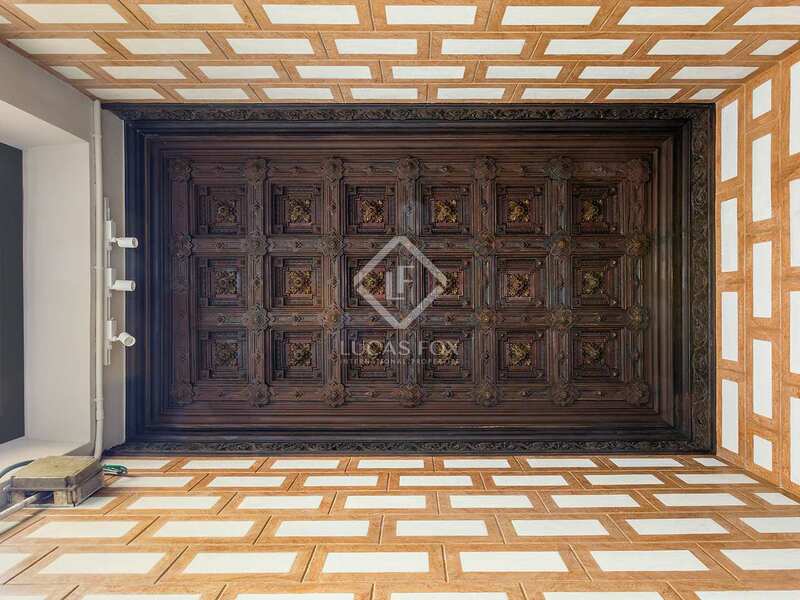 These finishes are combined with period features, such as Catalan vaults and beautiful wooden beams, which add plenty of charm. 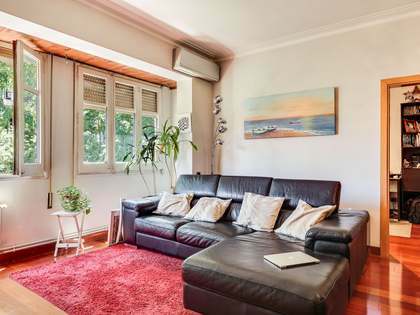 An unbeatable opportunity for those seeking a home in an enviable location. 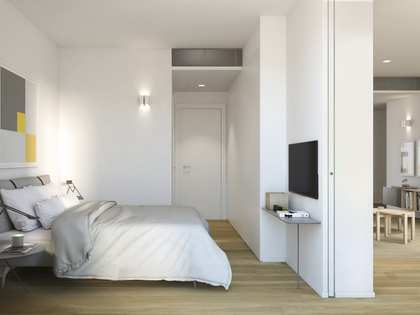 It would also make an ideal investment option. 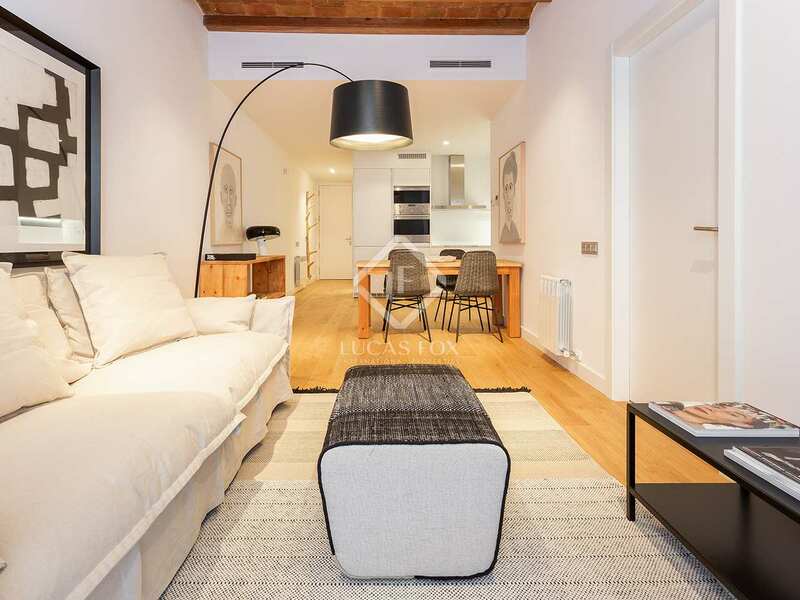 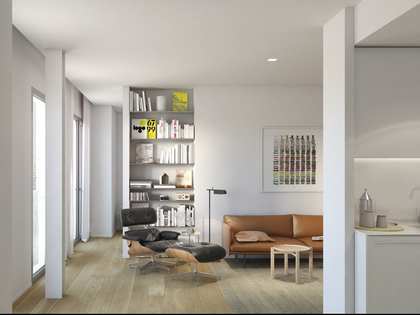 This new development is located on Carrer Comte d'Urgell next to Carrer Diputació, in Eixample Left. 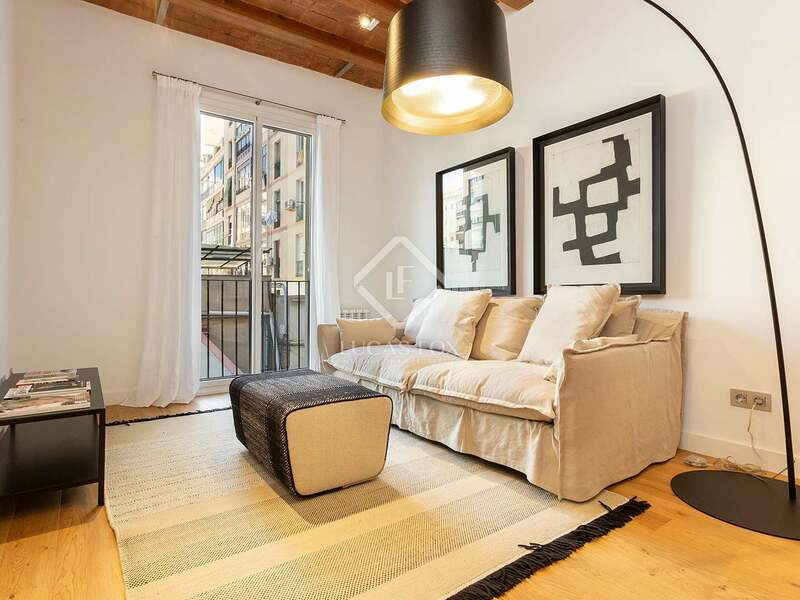 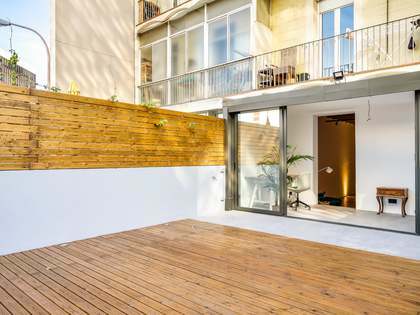 This is a prime Barcelona location, very close to the famous Sant Antoni Market, shops, restaurants and public transport.